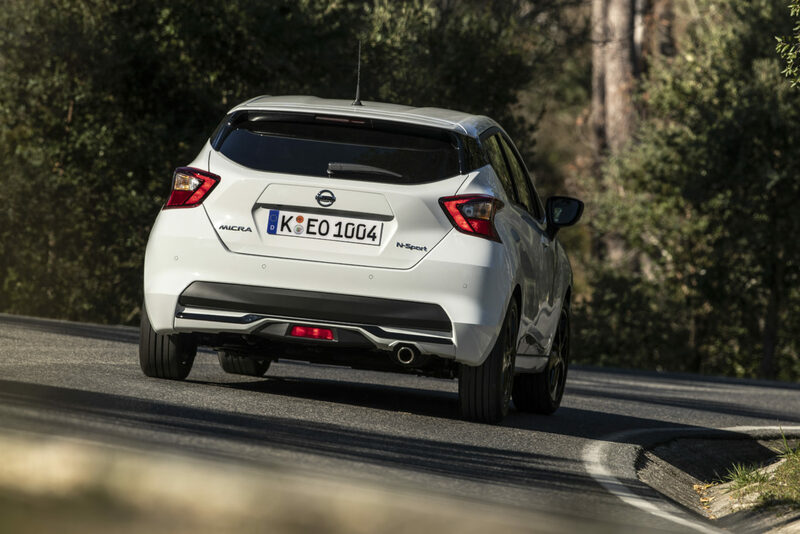 Nissan’s keen to point out that it’s listened to the feedback its customers gave it on the latest Micra. Although the car’s only been out for two years, customers criticised the engines – calling them underpowered and bemoaning the lack of an automatic gearbox. So, this early-life upgrade addresses those complaints and gives the popular supermini a new edge – essential in such a crowded and talented marketplace, where best-sellers such as the Ford Focus and Volkswagen Polo dominate. This isn’t a facelift, and so 2019 Micras don’t look any different to their predecessors on the outside. The changes come under the bonnet, where Nissan’s fitted a pair of new 1.0-litre turbocharged petrol engines to replace the ageing – and not particularly good – 0.9-litre unit. They offer 99bhp and 116bhp, and the former can be mated to an automatic gearbox, which is a first on this generation of Micra. The Micra still offers the basic 1.0-litre non-turbocharged petrol engine and 1.5-litre diesel engines as before, but the big talk is on the two new 1.0-litre turbos. 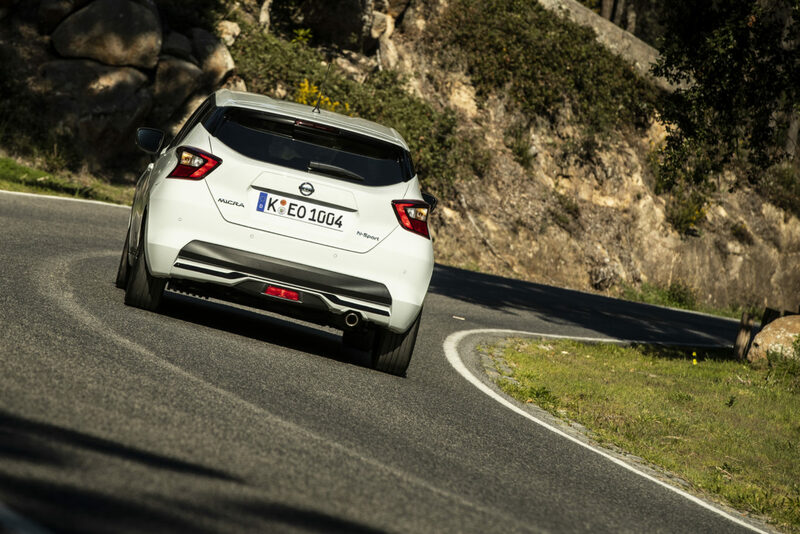 The higher-powered unit is fitted with the Micra’s first six-speed manual gearbox, and offers comparable performance to most of its main rivals. However, for all Nissan’s claims of it being a ‘warm hatch’ the tinny sound, rubbery gearbox and reluctant power delivery mean it’s far from a thrill. Far more pleasant is the new 99bhp unit, which revs cleanly albeit with an alarming turbine-style whirr. It can be had with an adequate five-speed manual or a CVT automatic. Surprisingly, we’d actually recommend choosing the auto – it’s one of the best of its breed, and manages to resist the urge to send the revs spiralling at the merest mention of throttle input. The higher-powered engine comes complete with 17-inch alloy wheels, a quicker steering rack and lowered sports suspension. It makes the Micra more agile than the likes of the VW Polo, and it’s certainly easy to fling about city streets. It can’t hold a candle to the Ford Fiesta on the handling front, however. Lower-powered models with the standard suspension do tend to lean through the bends but the payoff is a very forgiving ride – the Micra is one comfortable supermini. We weren’t able to test the limits of its ability too much on our soaking wet Portuguese test route, but the levels of grip and response from the steering were easily up there with the rest of its competitors. There’s little news on this front – the only exterior changes for the 2019 Micra are some new trim combinations and the addition of LED front fog lights on certain grades. 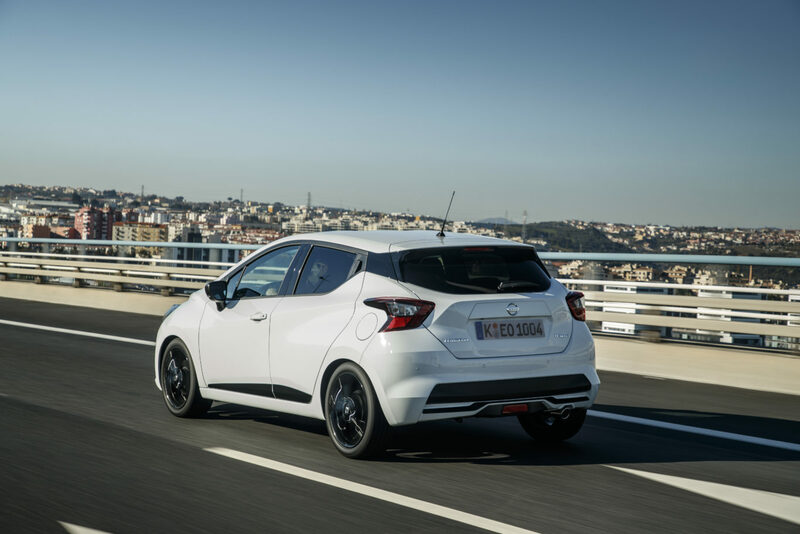 N-Sport models lower the ride and add niceties such as 17-inch alloy wheels, a chrome exhaust tip and N-Sport badging – but the makeover is far milder than that of a Fiesta ST-Line. Perhaps that’s because the N-Sport doesn’t have a true halo hot hatch’s looks from which to draw inspiration, as Ford and VW do with the Fiesta ST and Polo GTI. The Micra’s interior is generally one of the car’s strong points. Although space inside is only really average for the class, the sharply designed dashboard and lashings of interesting material choices – plus the sheer level of personalisation on offer – ensure there’s something to appeal to almost everyone. The headline upgrade, though, has to be the new NissanConnect infotainment system. It now offers live services, but crucial for attracting younger buyers it also brings Apple CarPlay and Android Auto connectivity. 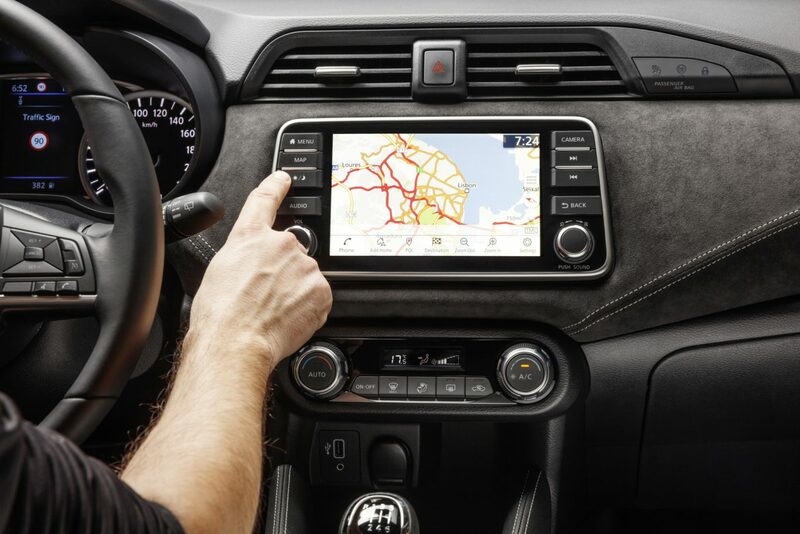 It’s a big improvement over the old system, with greater responsiveness and a clear, easy-to-operate menu system – although the inbuilt sat nav can be a little dim-witted. 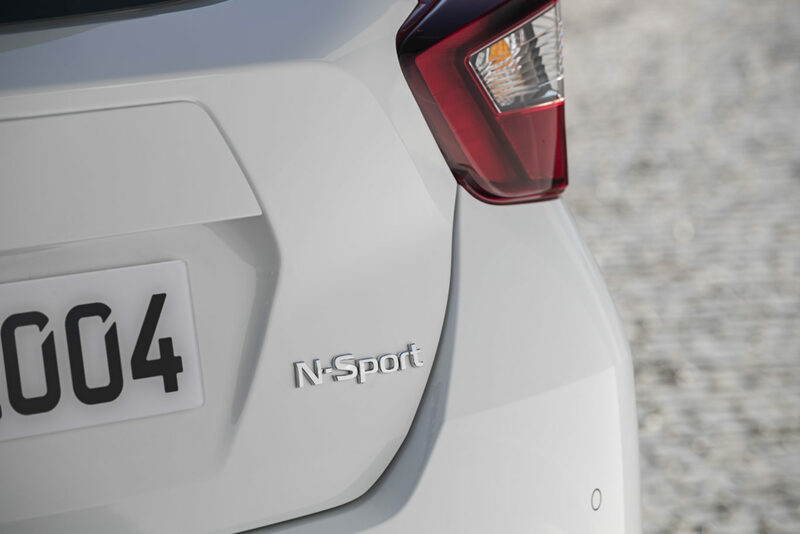 The new N-Sport trim is based on the mid-spec Acenta, so rather than dazzling with lots of equipment it offers a sporty look and mid-range specification. Still, sports seats, keyless entry, fog lights, carbon-fibre finishes for the door mirrors and alloy wheels plus rear privacy glass add to an already generous roster of climate control, cruise control, all-round electric windows and the aforementioned NissanConnect infotainment system. 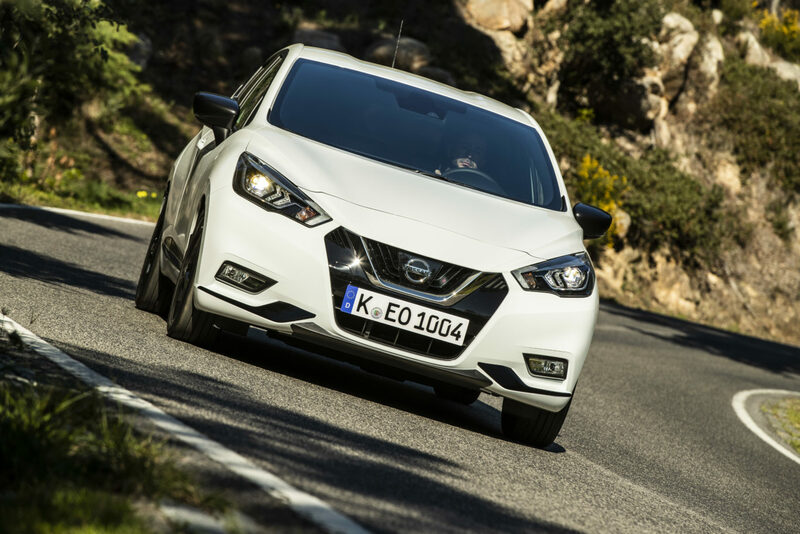 These new engines are a vast improvement over the old 0.9-litre – and they definitely make the Micra worth further consideration. In fact, this updated model feels like the car that the Micra should have been at launch. It’s some way off the class best when it comes to driving dynamics, but now offers the same excellent economy, good levels of equipment and sharp looks as it did before, just without the poor engine to hold it back. The Xtronic automatic, meanwhile, could be one of the best non-electric inner-city cars you can buy.